I wonder if you could add black for Ambuscade Shaman. 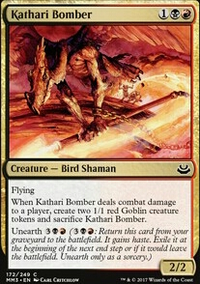 Make it a total of 8 forcemages, and the Shamans can also get dash out if needed. Then, you can also throw in hasty,evasive black things like Deepcavern Imp and Nether Traitor. en ese sentido, Deepcavern Imp podria reemplazar al Putrid. Aunque tambien Arrogant Wurm o Basking Rootwalla podrian funcionar en su lugar. El Seal of Doom parece bastante injugable, pero siendo un encantamiento, puede terminar en tu mano con la Commune. Alguna Mortuary Mire no me parece que este de mas, por si se te cae un Gurmag al cementerio o si te matan la 3/3 vuela. 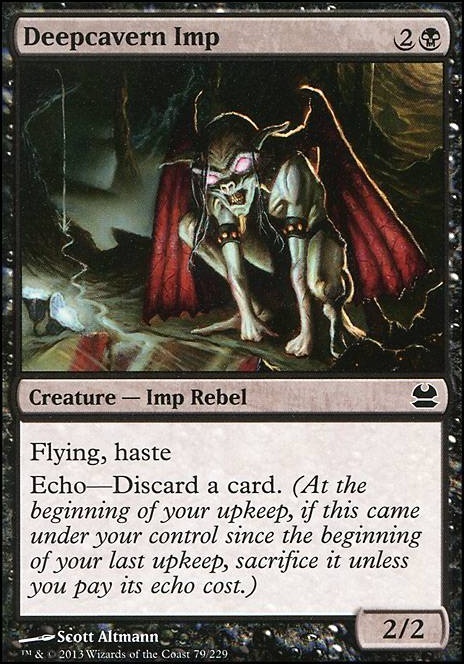 A janky possibility I thought of was Deepcavern Imp for a discard effect on my upkeep, pitching a creature I could reanimate later? It's a free card, so I mean it can't hurt my wallet to test. 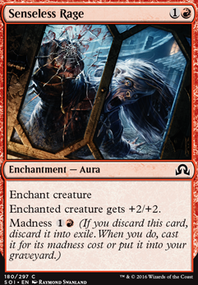 But I've noticed there being some plays where I don't have as many reanimate targets, which is still fine since I can control the board until I do. Putrid Imp is also a possibility. ~50% are actual ideas and not troll ideas. 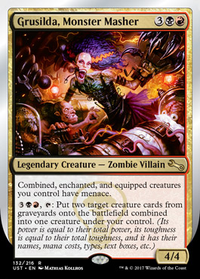 add Zulaport Cutthroat, Blood Artist, Grim Haruspex, Ashnod's Altar, Phyrexian Altar, Phyrexian Tower, Attrition, Death Cultist, Pawn of Ulamog... Sac ur little ones to get out a demon because flavor. Infernal Spawn of Infernal Spawn of Evil, Hellcarver Demon (soooo much fun), Lord of the Pit , and Tombstalker. 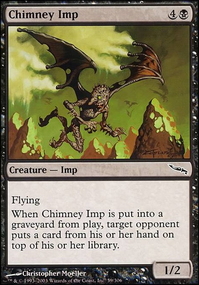 Soot Imp, Vault Skirge, and Deepcavern Imp <-one of the coolest creature types ever. also, the deck looks awesome! Nimble Mongoose is a great body for strategies such as Delirium. 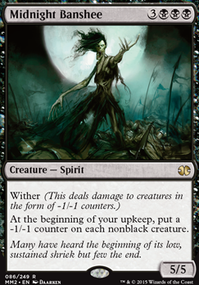 Ash Barrens may be more useful in Pauper than Evolving Wilds to enable Delirium. The jury's still out, but it wouldn't hurt to test. 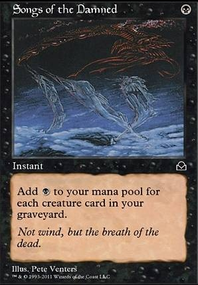 Otherwise, cycling lands I believe are a must in graveyard-based Pauper decks (Barren Moor, Tranquil Thicket). Borderland Explorer has good power and a relevant effect. Chromatic Star is likely better than Terrarion. Deepcavern Imp is a good flying curve-topper. I feel that this is one of those decks that really, really should play Bump in the Night and Night's Whisper. At the moment it is easy for your opponent to tell when they'll take damage, so they can calulate how much life loss each spell they cast will cause, which means you really need to be able to burst down that last bit of health unexpectedly to take the win. Profane Command could fill this slot, as could Soul Reap/Death Cloud/Batwing Brume against aggro, Suffer the Past against graveyard strats. Collective Brutality could have a place. I'm not a fan of sleeper agent, as I remember a time when a 3/3 for 1 was worth paying 2 life an attack for. You don't have enough fog Darkness effects for it to be worthwhile. Bloodchief Ascension could be good with the number of '2 life' triggers. 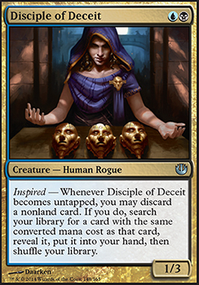 Consume Spirit/Corrupt/Tendrils of Corruption might be good if you can stall for it. Emissary of Despair might function. Bitterblossom/Morsel Theft would be cute, but defeats the point of budget. I prefer Poison the Well/Spiteful Visions to unraveller. Death's Shadow/Rite of Consumption might have a place. Soul Spike could net you an unexpected win, but once more, price. Deepcavern Imp/Blightspeaker, Postmortem Lunge, Mogis's Marauder or Gruesome Encore is another way to mix things up with haste providing burst damage. Ultimately though, its all down to how you want to make things work. Zer0w on Zombie Super Budget Madness!!! I used to have Dark Withering, but then I realized that 3 Nightshade Assassins 4 Fiery Tempers 4 Lightning Axe is already a lot of removal ao I don't think I needed them. I like the idea of Razormane Masticore but CMC 5 makes it a dead card for too long. 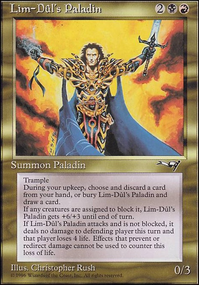 many modern decks want to win by turn 3 or 4. I like Hellspark Elemental just not as much as Gravecrawler, Deepcavern Imp is interesting, I'll have to think about that one.